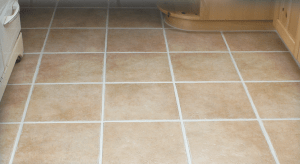 Why should you protect your grout? 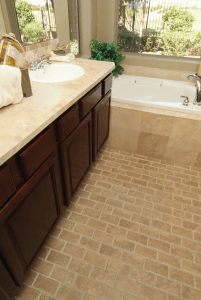 While tile is extremely durable and can last for decades, the grout that is in between the tiles is very porous and readily absorbs any dirt and spills. The dirt and spills quickly become stains that can become permanent, spoiling the beauty of your tile floors. 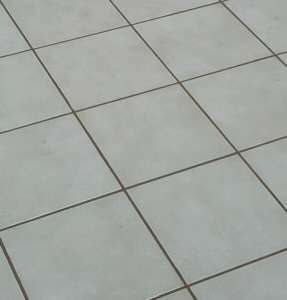 When your tiles and grout aren’t protected, even regular mopping can leave your grout color looking dirty and uneven. 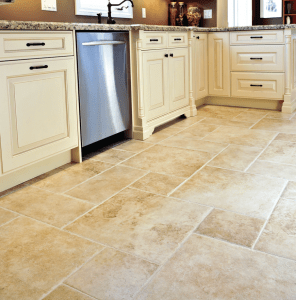 While ceramic tile is extremely durable and will last for decades, the grout between the tiles in very porous and will readily absorb dirt and spills. 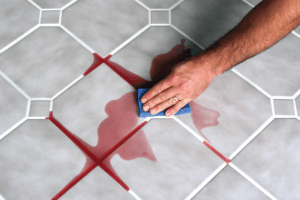 New grout can be professionally protected using a specialized process called color sealing. Color sealing creates a durable long-lasting layer of protection that will prevent your grout from absorbing dirt and spills. Color sealing “locks in” the original grout color and “seals out” dirt and stains. 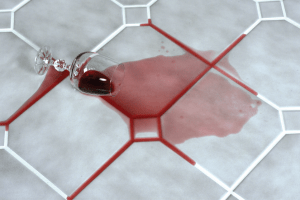 Spills can be easily wiped away leaving your grout looking fresh, clean and uniform in color. With regular mopping, your newly sealed tile and grout will look great for years to come. Made New Again color seal process is very unique. We utilize a formula that has been developed over many years in this industry. Our color seal is a micronized paint pigment that is finer than any other product available. Our sealer is also an acrylic based formula. When applied to a properly etched grout surface, our sealer will form a firm cohesive bond with the grout and penetrates into the grout channels to form a long lasting bond. Most sealers you can purchase at home improvement stores and many flooring shops are epoxy based formulas and topical in nature. They do not penetrate the grout. After time they will peel and crack and lose their bond. 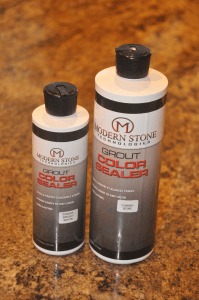 Your new grout can be professionally protected using our specialized color sealing process. This process provides the highest degree of stain protection and greatly reduces the maintenance required to keep a new floor looking clean and fresh. While the color sealer is a durable coating, the use of harsh chemicals or abrasives will diminish the life of the color seal protection. 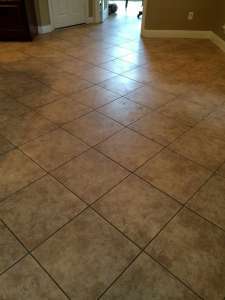 Use only neutral PH tile and grout cleaners on protected grout floor. Sweep or vacuum to remove debris. Mix 1 ounce of cleaner per gallon of water. Apply solution to the area to be cleaned. Allow cleaner to dwell for two minutes. Agitate cleaner with a mop. Mop up the dirty solution. 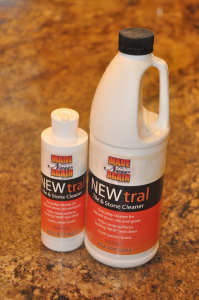 Following these instructions will help keep tile and grout looking clean and fresh. Do not use cleaning products that contain acids, vinegar, ammonia, or bleach. 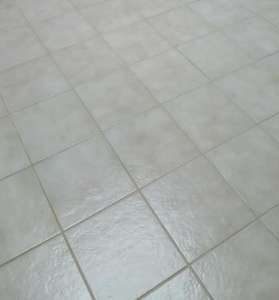 A Made New Again customer was tired of the white grout that she couldn’t keep clean, even after all the bleach, vinegar, scrub brushing, and countless other home remedy solutions, she contacted us to help. After a few discussions she decided upon a darker grout color and I think the choice made was perfect for her situation. 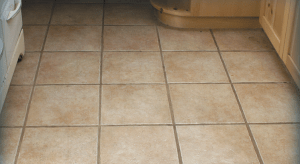 We specialize in the complete restoration of tile and grout surfaces. Our professionally qualified and accredited technicians use industry leading equipment and processes to complete projects on time and with our customer’s goals and satisfaction in mind. We provide services and consultation to our customers as well as the education needed to properly maintain and preserve their investment. 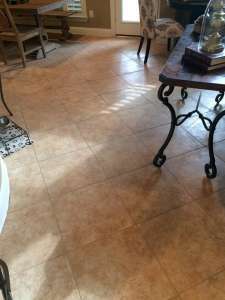 Please consider Made New Again for your flooring restoration. We offer a 5-year warranty with our color seal work, and most floors will even last longer than that before needing color to be reapplied.